Whether you regularly pedal your way to work or are looking to take advantage of the warmer weather and incorporate biking into your routine, your biked miles can help you and your company, office, or school win prizes through Bay State Bike Week. Massachusetts is the only state with its own statewide bike week, and it starts in just over a week! From May 14th to May 22nd, events across Massachusetts will encourage and reward bike ridership and promote bike safety and awareness. You can sign up as an individual to participate and compete, but you can also join the Tufts team through the MassCommute Bicycle Challenge. Last year Tufts cyclists logged over 900 miles during Bay State Bike Week – can we top that this year? Know of any bike resources we’ve missed? Tweet them to us — @GreenTufts ! Are you ready for Bay State Bike Week? From May 9th-17th, Massachusetts will be celebrating Bay State Bike Week. Every May, residents across Massachusetts come together in celebration of human-powered, two-wheeled transportation. This is Bay State Bike Week. From Cape Cod to the Berkshires and everywhere in between, participants organize events like film screenings, bike breakfasts, festivals, and more, to have fun while encouraging new riders and raising awareness about bicycle transportation. Bay State Bike Week is a partnership between MassBike, MassDOT, and MassRIDES, in collaboration with local advocacy leaders, bike shop owners, and anyone else who likes seeing others go by bike. Massachusetts is currently the only state that hosts a statewide bike week. Each year, Bay State Bike Week raises awareness about cycling as an alternative form of transportation, a sustainable commuting option, and a fun form of exercise. MassCommute Bicycle Challenge: Sign up to ride for the Tufts Team and log your miles daily (simply select Tufts University as your team when you register)! Awards and Prizes will be given to the team that logs the longest commutes, highest number of cyclists, and largest total mileage among others. Participate in daily raffles for registering, and compete for individual accolades as well. Registration is completely free. If you’re using social media, be sure to post using the hashtag #MCBC2015. The Office of Sustainability will be providing updates throughout the week on Facebook and Twitter. You can also log your miles on NuRide for the chance to win these great prizes including: Dunkin Donuts Gift Cards, The North Face Backpack, Smith Optics Helmet, Zipp Bike Wheels, Sram Bike Accessories, and a Park Tool Bike Workstand. Bike Fridays (Boston Metro Area): On Bike Fridays, you can join a bike commuter convoy from one of dozens of locations throughout the Boston metro area. Safe guided convoys with experienced ride leaders will follow a fixed schedule and route and finish together at City Hall Plaza in Boston. Because you rode your bike, you’ll get a free breakfast and coffee courtesy of Boloco, set to music amid an expo at City Hall Plaza. Join a convoy, or just show up for the fun at City Hall Plaza. Registration is free. May 15th – Boston Bike Week Festival! Bike Bash (Wednesday, May 27th): The Bike Bash is the event wrap up party which celebrates the conclusion of the MassCommute Bicycle Challenge! All Challenge participants are invited to join in on the celebration. The Bash is an opportunity to acknowledge and award our winning teams and all of our wonderful riders! It’s also a chance to raffle off all of the drawing prizes that have been donated by sponsors. 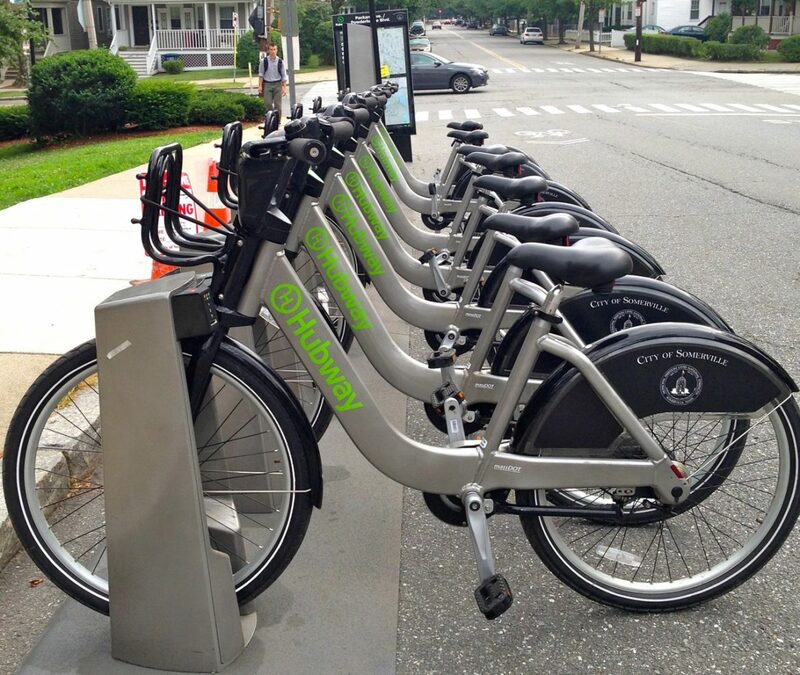 Visit the Bay State Bike Week event calendar for a list of statewide events and check out the Somerville Beat Guide to Cycling in the City. For more information regarding biking at Tufts, visit our biking at Tufts web page.